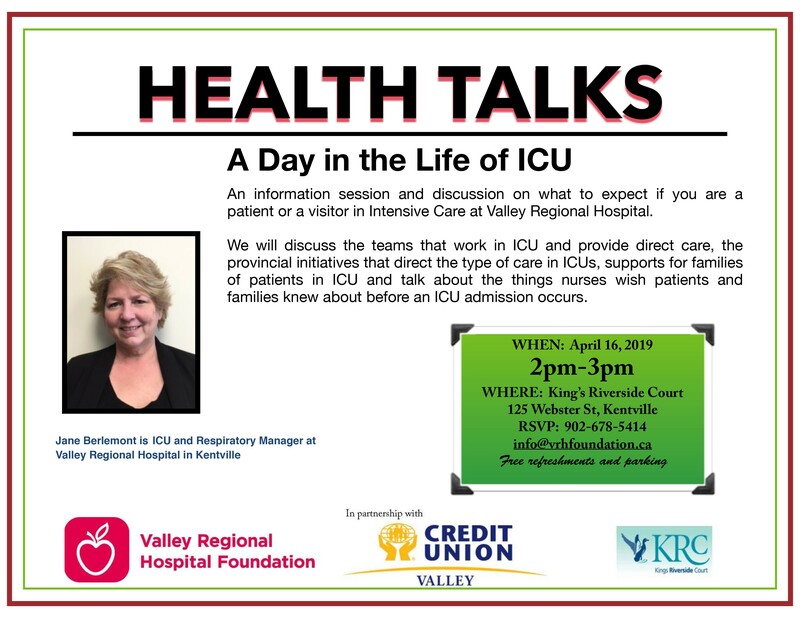 The Valley Regional Hospital Foundation is hosting a series of talks to highlight health-related topics with presentations by professionals at Valley Regional Hospital. Sessions are open to the public. If your group is interested in having a presentation, please contact the Foundation at 902-678-5414.